Die cutting has never been as efficient as today. 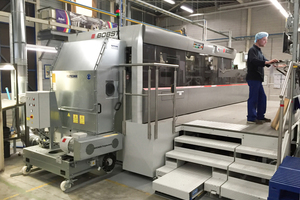 Modern flatbed die cutters process up to 10 000 sheets/hour, thus they are the epicenter in the cardboard and folding carton production. The bulky cutting grids and gripper edges which arise from every die cutting sheet are annoying by-products of this manufacturing power. This voluminous waste material will partially still be disposed manually and can only be taken for recycling shortly before the waste compacting unit. This is an expensive and time-consuming process in a production which is, apart from this, extensively automated. Höcker Polytechnik’s PHSS shredders crush the cutting grids and gripper edges directly at the die cutter into pieces not larger than the palm of the hand. 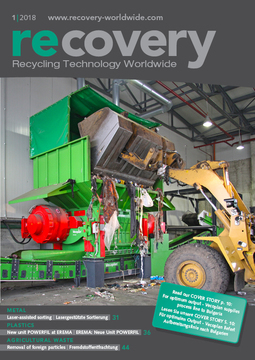 In this way, the material can be supplied to the existing automatic recycling circuit. 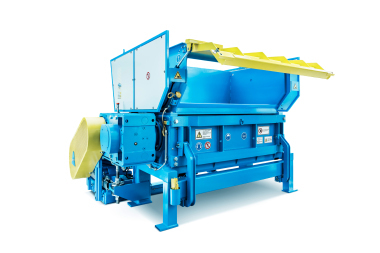 Every PHSS shredder with connection hood is constructed especially for the respective dimensions of the die cutters and can be operated with all common flatbed die cutters by Bobst, EMBA etc. So far, more than one hundred of these productivity increasing combinations are already used globally. Based on this experience, the PHSS shredder was further improved. The 2017 model was constructed on a completely new basis and is now even more powerful and flexibly applicable. This version has a more powerful cutting system and the trail is prevented by a brake motor. Thus, the shredder works safer than before. The basic principle of the shredder stayed the same. 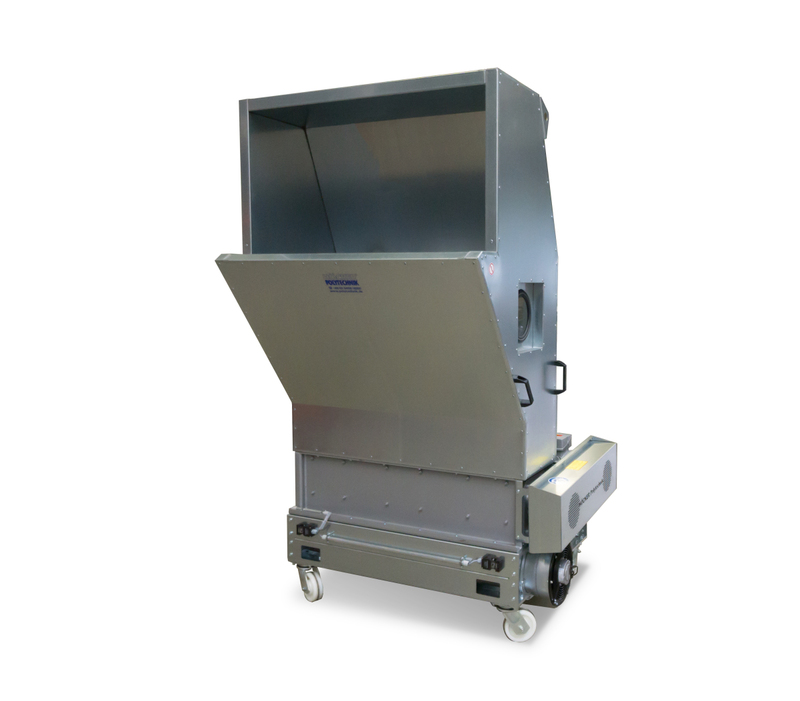 Thanks to its wheels, the PHSS shredder is ready for use within one minute and can be removed from the die cutter just as quickly. The simple accessibility to the settings at the die cutter is significantly simplified by the easy handling. The high-speed cutting system is extremely durable and self-cleaning. It is conceived for a continuous use and reliably processes the specified maximum of waste. An integrated porthole enables a visual control at any time. 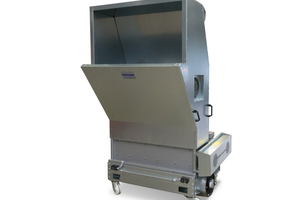 In the lower area of the shredder an axial fan blows the shreddered material powerfully to the extraction system via an extraction hood. This prevents material from building up even with a working width of 1700 mm. The fan blade geometry is inspired by bionics and works extremely quietly. Energy efficiency pays off. The PHSS shredders are equipped with IE3 motors from 7.5 to 15 kW, depending on the weight (gsm) and material volume. Since in normal operation the shredder shreds „at idling speed“, the 7.5 kW shredder, for example, works with approx. 2.5 kW and has a 5 kW power buffer for processing every specified maximum of waste safely. Due to its optimum size the shredded material is perfect for pneumatic disposal, which saves energy as well. 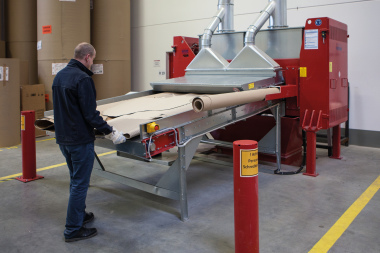 The volume flow required for material extraction can be reduced considerably. 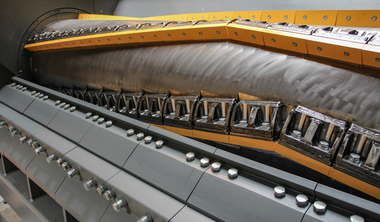 Compared to an uncrushed die cutting grid extraction, the extraction power can be reduced to one third. The PHSS shredder is supplied ready to plug in with switch board. 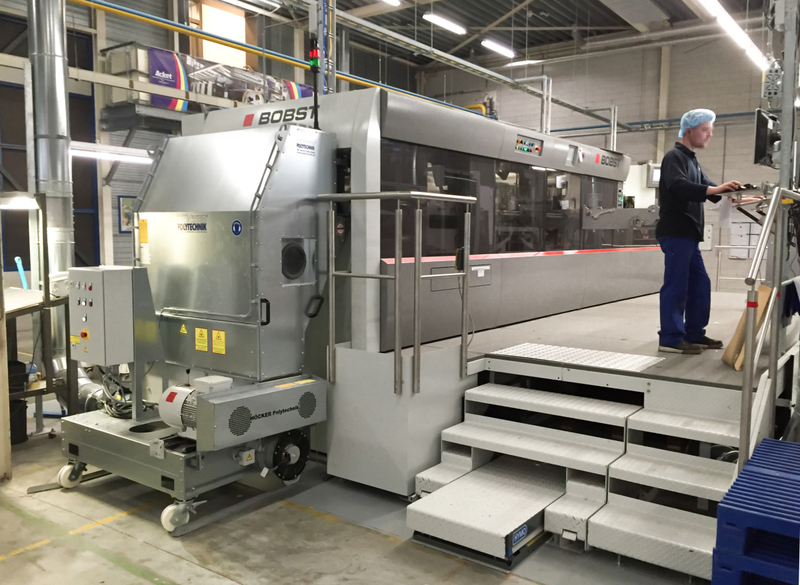 Just connect and profit from the fully automated die cutting operation.